Poll on Israel-Diaspora relations finds almost half of the public believes Netanyahu not doing enough to strengthen ties with US Jews. Prime Minister Binyamin Netanyahu did not condemn recent anti-Semitic incidents in the United States, and the Israeli public thinks he was wrong in not doing so, finds a new poll conducted at a time when the wave of split between American and Israeli Jews is intensifying. The poll was conducted by the Midgam polling firm and surveyed 500 Israeli adults. 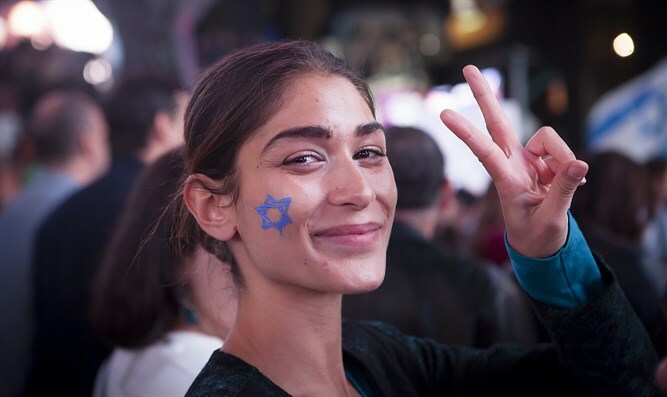 According to the survey, 47% of Israelis believe the Netanyahu government has not done enough to maintain strong ties between the State of Israel and American Jewry. Seventy percent of respondents also said Israel’s ties with US Jews are important to Israeli national security. Turning to the recent string of anti-Semitic incidents in the US, the survey shows that 72% of Israelis believe the Prime Minister should issue a public condemnation of the attacks. Respondents were also asked whether they approved of recent statements by coalition MKs regarding the relationship between Diaspora Jews and the State of Israel. Sixty-percent of respondents said they disagreed with MK David Amsalem’s (Likud) statement that “nothing would happen if American Jews get offended by some of the Israeli government’s decisions. Thirty-one percent of respondents agreed with Amsalem’s claim. Similarly, 60% of respondents said they disagreed with MK Bezalel Smotrich (Jewish Home) when he argued that American Jewry ‘need Israel more’ than the State of Israel needs them. Thirty-two percent of Israelis agreed with Smotrich’s statement.